New Process Gear is the company that was tapped to produce the 233 edition transfer case assemblies. This company has a long history with GM, GMC, Chevy and Dodge vehicles. 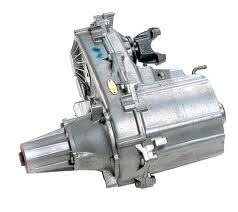 The NP233 transfer case was produced between 1992 and 2003. This near 10-year run helped to perfect the gearing inside. What you’ll find here is a quality build. You get your pick between used or refurbished. We let you decide what type of transfer case is best suited for your installation. Many of the top vehicles in the 4×4 industry rely on the NP assemblies. Both gasoline and diesel editions have been made by New Process. Some cases are marked with a letter C, D or other code identifier. This is completely normal. What you need to know is the year in which a case was made. This will give you the exact code match. The good news is that you’ll need no part number here. We’ve eliminated this portion from our search tool. Ownership of an NP case assembly does require maintenance. It is this protection that makes a case last for decades. The reason that most assemblies breakdown is lack of fluid. It is a requirement to change the fluid regularly. The cost of this change is what prevents most people from doing it. You won’t worry about transfer case fluid changes here. We’ve already tested the case. This is done with used and with rebuilt ones. We know that burnt fluid is a dead giveaway for a bad case. We prevent it. OEM recommended fluid is the only type that should be used. There are aftermarket brands although genuine is best. If you’re doing your own install, you should known about our testing. We test each assembly. This applies to ones built here or sold as used. It is this test that can prevent a breakdown. We know how to spot trouble areas. Our technicians are highly skilled when it comes to testing. We take precision measures to build and sell great condition 4×4 drive train components. A drop in price is normal for our inventory. The New Process Gear cases that are sold here are always marked down. If you want to know our current price, start your quote right now. It’s simple. You tell us what year and make you need. We go to work matching this data. You’re returned a super low price tag. This is not the only benefit you get here. You also get free shipping. Our team ensures your case has a complete warranty. This is on top of our toll-free support number. Make your decision to buy New Process Gear transfer cases from us online.